Welcome to the Official Website of Olivia Hollingsworth. She is a senior international elite gymnast from World Champions Centre in Spring, TX under coaches Laurent Landi and Cecile Canqueteau-Landi. 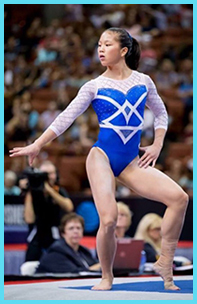 We hope this website will give everyone a chance to learn about this exciting gymnast and to get up-to-date reports on how she is doing with her gymnastics career. We hope you continue to support Olivia in the future.